Did you know that unhealthy teeth and gums are linked to serious diseases? Countless studies have now shown that there’s a powerful connection between what happens inside the mouth and what occurs inside the rest of the body. That’s why it’s so important to have an outstanding dentist to help keep your child on track. Question #1 – Has the dentist been specifically trained in pediatric dentistry? Many dentists will say that they treat children, but they are not experts in children. Only pediatric dentists treat children only and receive two additional years of specialized training in their specialized needs. 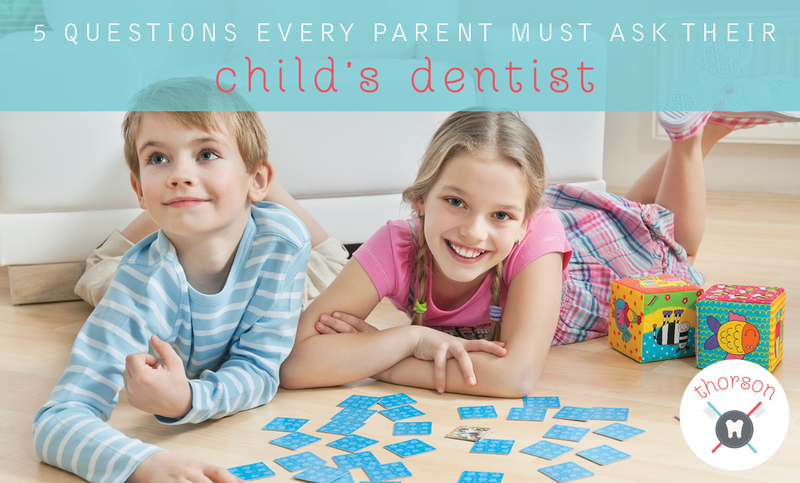 Pediatric dentists know how to guide your child’s treatment, how to speak to your child more effectively, and much more. Question #2 –What is the level of medical safety at the dentist’s office? Parents should be assured that their child’s pediatric dentist follows all the workplace guidelines for infection control (based on OSHA standards). The dentist should sterilize all equipment and always wear a mask and gloves. Question #3 – How involved will you be in your child’s dental treatment? Your pediatric dentist shouldn’t just tell you what to do. They should consider you a partner in treatment, explaining exam resulrts and consulting you about the “big picture” treatment plan. This plan should be focused on your child’s specific needs, meet your timeline and budget, and take your insurance coverage into account. Question #4 – Does the dentist keep on top of the latest dental innovations? Pediatric dentists get a big headstart with 2 years of specialized training. Their offices should be outfitted with state-of-the-art equipment representing the latest technological advancements. Pediatric dentists are also required to get 15 hours of continuing education every year and outstanding dentists get over twice that. Question #5 – How will the dentist respond in the face of dental emergency? An excellent pediatric dentist should be available after office hours to treat a child with a dental emergency and associated with the finest medical institutions in case the dental emergency requires hospitalization. Another key is the way you are treated. Your pediatric dentist should always treat you with respect and concern. Now you know how to determine if your dentist is right for your child. The result can be years of great check-ups and happy smiles. That’s good news for everybody!